For panoramic water views that are second to none, this 2 bedroom/2 full bath home in the stunning community of Heritage Springs in Trinity boasts a spectacular view. With such a shimmering backdrop, you’ll feel like you are living on your own private island with absolutely gorgeous vistas from the bedroom, great room, Florida room, lanai, and even from the sunny kitchen’s cozy breakfast nook! You’ll enjoy the water’s tranquility and the beauty of each season from the Florida room that measures approximately 20’ x 12’ featuring a tiled floor, vinyl windows, serving port from the kitchen, and separate sets of sliders from the master suite, kitchen, and living room. The adjacent screened lanai is perched on a velvety lawn and surrounded by palm trees. Simply picture perfect! Besides soaring vaulted ceilings, the home’s light and bright interior is further enhanced by an expansive floorplan with split bedroom placement. The guest suite was enlarged to rival the square footage of the master. In other essential updates, there was a new AC installed in 2009, a new roof in 2013, and a new hot water heater in 2018. The well-appointed laundry room includes a utility sink and plenty of storage. Furniture/furnishings/golf cart are available for purchase. This outstanding 55+ community offers the country club lifestyle outfitted with amenities like an 18-hole championship golf course/pro shop, heated pool, tennis/bocce courts, and a 20,600-sf clubhouse with a veranda and a fully equipped fitness center. Gorgeous WATER & CONSERVATION Views! The location of this lovely 2 bedroom/2 full bath/2 car garage home is one of the finest in Trinity. The great room/dining room combo is wonderfully spacious and airy boasting a set of triple sliders that reveal exquisite WATER and CONSERVATION views from the enclosed Florida room. 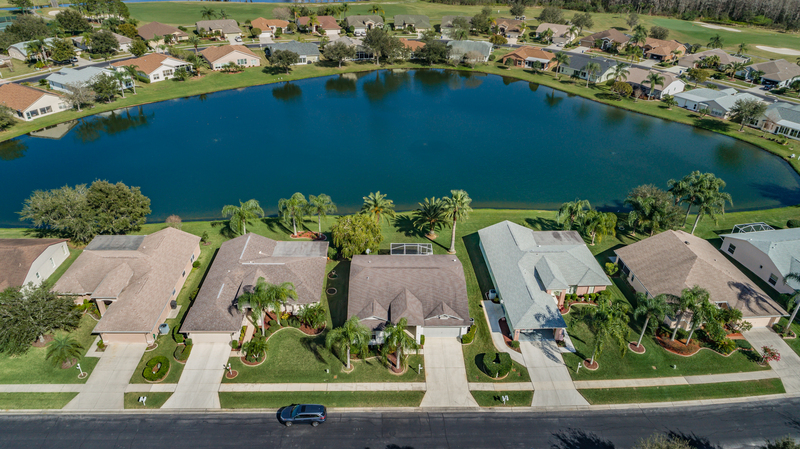 While secluded in a peaceful neighborhood, you are minutes from all the new and exciting shopping and dining spots that dot Florida’s Route 54. Inside, a split bedroom floorplan sets the tone of the expansive interior. A casual dining bar and serving port into the large kitchen open the space up even more. Dressed in a neutral color palette, high hats and undermount cabinet lighting, the kitchen has access to a well-appointed laundry room on one end, and sliders to the lanai on the other end. A sunny breakfast nook surrounded by windows completes the picture. Besides dual sinks in the bath, the master suite offers two walk-in closets along with lanai entry to enjoy morning coffee before a scenic backdrop; a tranquil way to start your day! In addition to keeping the common areas flawlessly maintained, HOA fees cover your lawn’s upkeep/exterior painting. This home is scheduled to be painted before the end of first quarter 2019. 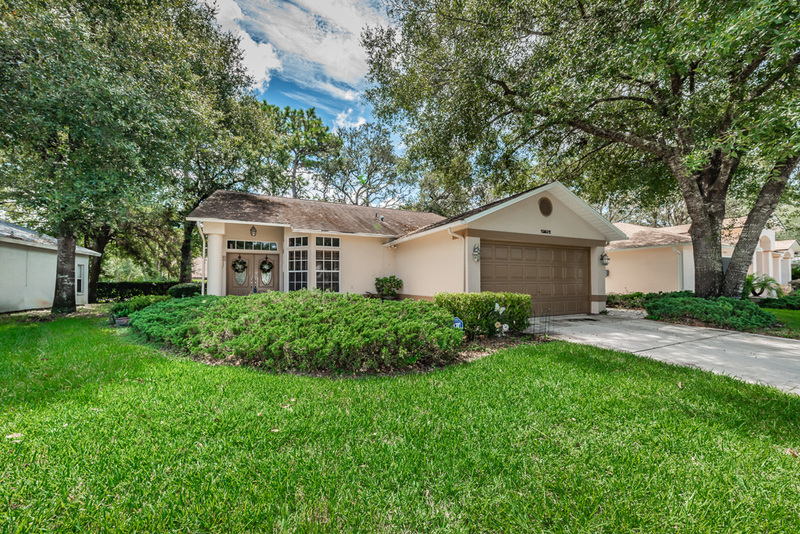 Heritage Springs is the jewel of 55+ communities. An amenity-rich subdivision, it features an elegant 20,600 sf clubhouse with a veranda overlooking the pool, an 18-hole championship golf course/pro shop, fitness center, picnic areas/pathways, and tennis and bocce courts. Live the country club lifestyle! https://trinityeastlakerealestate.com/wp-content/uploads/2018/03/LC-WebLogo-340x156-300x138.png 0 0 loricrawford https://trinityeastlakerealestate.com/wp-content/uploads/2018/03/LC-WebLogo-340x156-300x138.png loricrawford2019-01-29 15:01:592019-01-29 15:01:59Gorgeous WATER & CONSERVATION Views! 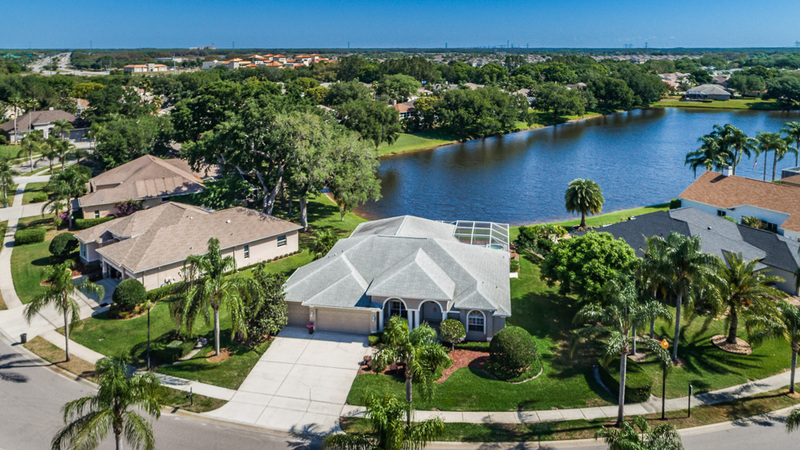 AMAZING Pond and Conservation Views! Overlooking a shimmering pond and spectacular conservation views, this stunning 3 bedroom/2 bath home with a 3-car oversized garage is nestled on an almost ¼ acre lot near the end of a cul-de-sac. For a grand entrance, the stained-glass double doors and beautiful transom window let natural light in to the tiled foyer with vaulted ceiling. From the picture window in the dining room you’ll enjoy open vistas to the formal living room and exquisite scenery beyond. The family room is not only spacious, the wall of sliders to the lanai and large window also reveal the magnificent backdrop. The adjacent kitchen is sleek and chic. Boasting stainless steel appliances, granite countertops, a double sink, ambient and over-cabinet lighting, and a casual dining bar, an aquarium window overlooking the lanai frames the picture-perfect breakfast nook. Besides the panorama of the great outdoors, the oversized, resort-style lanai is a dream; an oasis made complete with an outdoor kitchen. With the ideal privacy of a split bedroom floor plan, the master suite is superbly designed, showcasing sliders to the lanai and a lovely dressing area that introduces the master bath highlighted by elegant fixtures and finishes, a glass-block accented shower room, luxurious soaking tub, and a handy linen closet. 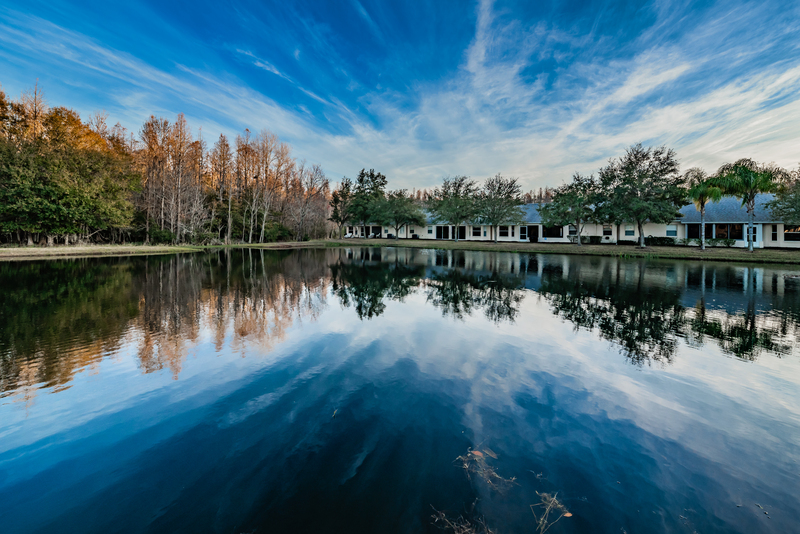 Heritage Springs is an amenity-rich community featuring a fabulous clubhouse with a veranda that faces the sparkling pool, an 18-hole golf course and pro shop, fitness room, picnic areas and pathways, and tennis and bocce courts. https://trinityeastlakerealestate.com/wp-content/uploads/2018/03/LC-WebLogo-340x156-300x138.png 0 0 loricrawford https://trinityeastlakerealestate.com/wp-content/uploads/2018/03/LC-WebLogo-340x156-300x138.png loricrawford2018-10-15 14:22:492018-10-15 14:22:49AMAZING Pond and Conservation Views! Picture Perfect and Move In Ready! This 2 bedroom/2 full bath home presents a contemporary spin on rustic styling. Beautifully landscaped, a wide swath of pavers sets off the entryway that leads to a set of double doors outfitted with oval stained-glass insets and a transom. The eat-in kitchen is wide open and sunny featuring sleek, low profile cabinetry, a pantry closet, white appliances, a breakfast bar, gleaming countertops, and sliders to the lanai. The nice-sized laundry room boasts a closet, storage shelving, and a large sink. With a great room and dining room combo, the light floods in offering views straight through to the scenic greenery of the yard. As for the master bedroom, it is spaciously stunning with a walk-in closet and the same neutral laminate flooring that runs throughout the home. Behind French doors off the foyer you’ll find a cozy family room framed by three large windows with plenty of space for your comfy furniture! Or you can surround yourself in the foliage of the outdoors in the lovely, tiled lanai. Besides a newer roof installed in 2012 and a newer A/C installed in 2011, a wonderful renovation was designed for the 2-car garage to allocate a section into a handy, climate-controlled home office with carpeting and a ceiling fan. 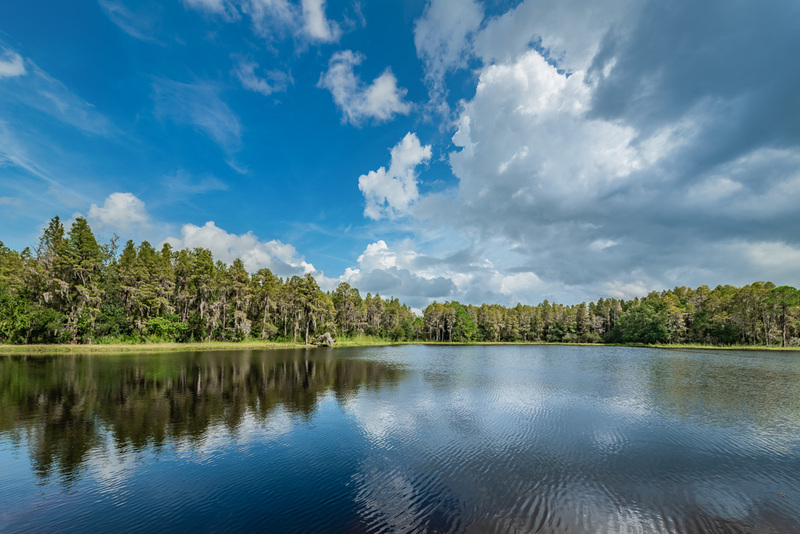 Tall Pines at River Ridge is an amenity-rich community with a sprawling clubhouse including game/meeting rooms, an auditorium, covered picnic area, & a lakefront gazebo; all adjacent to the spectacular 18-hole River Ridge Golf Course situated in an environmentally protected area. https://trinityeastlakerealestate.com/wp-content/uploads/2018/03/LC-WebLogo-340x156-300x138.png 0 0 loricrawford https://trinityeastlakerealestate.com/wp-content/uploads/2018/03/LC-WebLogo-340x156-300x138.png loricrawford2018-09-18 09:14:412018-09-18 09:14:41Picture Perfect and Move In Ready! Stunning Trinity Water View Estate Home! Besides the spectacular setting of this piece of paradise in the gated community of Bellerive, the effortless flow and architectural stylings of its 4-bedroom, 3 full bath, 3 car garage home are uniquely beautiful. Outside, the manicured front yard encircles the stately entrance complete with curved pathway and double-barreled portico supported by elegant columns topped by a newer roof. With panoramic pond vistas, the resort-style lanai boasts a covered outdoor dining area with screened pool/spa/outside shower; also stubbed for an outdoor kitchen. Sliders to the family room and the living room are complemented by a sleek glass door into the kitchen. A large picture window lights the adjacent formal dining room. The spacious and well-appointed kitchen is full of custom features: center island with pullout drawers for storage, stained glass accent windows, plate rack, a built-in to stow small appliances, undermount lighting and a casual dining bar. Its breakfast nook sits in front of the aquarium corner window for open pool and pond views. Entrée to the foyer and the formal living room reveals the waterfront landscape. The three bedrooms are bright and well-proportioned enough to serve as a home office, personal gym, study, play room, or guest rooms; the master suite feels like a grand hotel with fine finishes, 2 walk-in closets, and private access to the pool. With touches like a laundry room with sink/storage and a whole house vacuum, you couldn’t want for any more than this stunning Trinity residence. https://trinityeastlakerealestate.com/wp-content/uploads/2018/03/LC-WebLogo-340x156-300x138.png 0 0 loricrawford https://trinityeastlakerealestate.com/wp-content/uploads/2018/03/LC-WebLogo-340x156-300x138.png loricrawford2018-04-11 13:23:152018-04-11 13:23:15Stunning Trinity Water View Estate Home!